Adelaide’s specialist data recovery service. 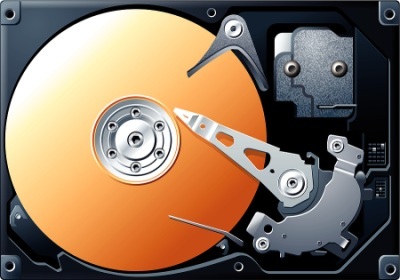 Your data can be recovered from hard disks, flash drives, card-media and optical disks. Fast, effective solutions for lost data. Latest data recovery methods. Affordable prices! The most you pay for any software-based hardware recovery is $149. Within 72 ours you will receive an indication of the viability of your device for recovery. APCR can provide hardware-based recovery methods if required. APCR do not charge for pickup and delivery within Adelaide’s central suburbs. APCR is proudly partnered with specialist data-recovery services. ……– Very fast service & pick up / delivery is great! You might have experienced data while working on computers at home or office. System failure is not the only reason behind it, sometimes human error like deleting files unknowingly, accidently moving them, or emptying recycle bin can cause data loss. The biggest danger for computer users that can cost them a lot of money and loss of valuable files is hardware failure. After losing your data, you have two options – data recovery services and data recovery software. The internet is full of quality data recovery software programs, but the question arises – which one suits your needs best? Realizing the importance of lost data, it is suggested to avail assistance of a quality data recovery service provider. It’s a matter of a few moments for service providers to recover data from corrupted system. Data can be retrieved even from a dead hard drive, but it’s a bit expensive. How about a cheaper way of recovering data? This type of data retrieval consists of extraction of lost data from undamaged drives with the help of data recovery software. We have been dealing with issues like data loss, PC crashes for years, so we have encountered nearly every problem possible. APCR is passionate about data recovery, and offers a comprehensive service at very competitive prices. Our cost-effective and high-end methods help you recover data from all kinds of storage media and systems. We deal with all types of data loss situations from simple to the most complicated. Our most trusted data recovery services include data retrieval from desktops, laptops, iPods, hard discs, flash drives, optical disks, card media, etc. We solve all types of data loss problems from simple to the most sophisticated ones, including all types of storage systems or devices.